Whether you are looking for a home in a golfing community or you specifically want a Chandler golf course home- we can help. You can enjoy the resort lifestyle with amenities such as golf, tennis, swimming and much more. This site will help you find the perfect home of your dreams. 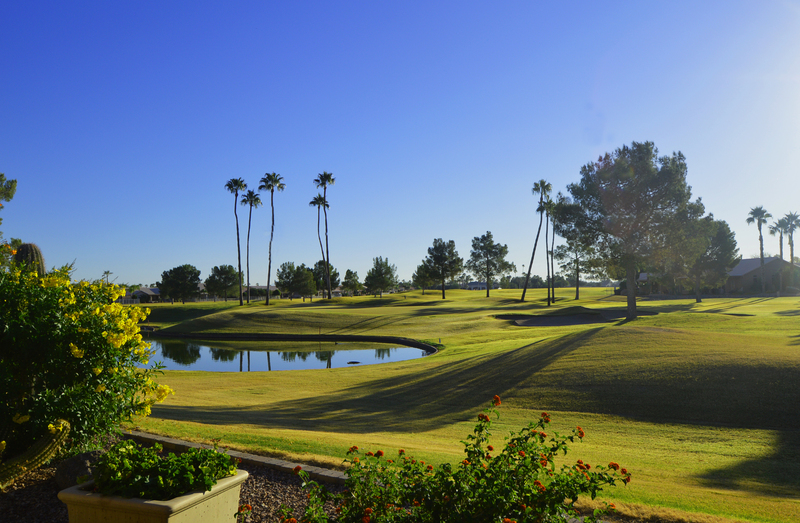 Chandler Arizona, conveniently located to all major freeways (the 101, the 202, I-10 and the famed Price Road Corridor) is full of golfing communities in many price ranges. From homes in a traditional neighborhood with families to active adult communities you will have many communities from which to choose your home. To receive property updates with new listings and price changes simply fill out this new listing alert. Ocotillo – Troon Course features 27 challenging holes of golf in a resort style setting and is truly a golfer’s paradise where you will find rolling hills, lush green grass, gorgeous homes and plenty of water hazards in all shapes and sizes. The course serves as a qualifier course for PGA events and has consistently received Golf Digest’s annual guide four- star rating. The Clubhouse with over 10,000 square feet is home to Bernard’s Restaurant with indoor seating and a fantastic large patio overlooking waterfalls and the course. Cantabria Shores is a gated villa community in Ocotillo with stunning views of the golf course. A separate HOA maintains all exterior landscaping, water and the villa roof and exterior painting. Search here for Cantabria Shores Golf Course homes for sale. Embarcadero, Balboa Point, Catalina Shores and Crown Point are some of the high end luxury gated communities within Ocotillo that start at 1,000,000 and go up. You will also find homes in other Ocotillo communities in the $250,000 price range. Click here for a complete map of all Ocotillo communities. Sun Lakes is an active adult 55+ community that features five separate golfing communities. 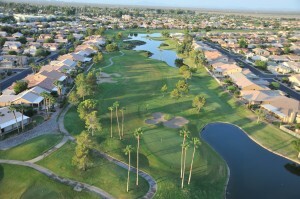 Sun Lakes Country Club, the first of the five communities features Chandler golf course homes built in the late 1970’s and has an 18-hole golf course that is private to residents. You will also find tennis, swimming pools, fitness center and restaurants. Homes range in price from $100,000 to the mid $200’s. Click here to see all golf course homes for sale in Sun Lakes Country Club. Cottonwood Country Club, the second community has 2,736 homes in a non gated environment with an 18-hole Championship Golf Course, driving range and putting facility. Cottonwood also has tennis, pickle ball, swimming pools, restaurants, lakes and many clubs and organizations to enjoy. This course is 6565 yards from the black tees for men and 5764 from the women’s white tees. 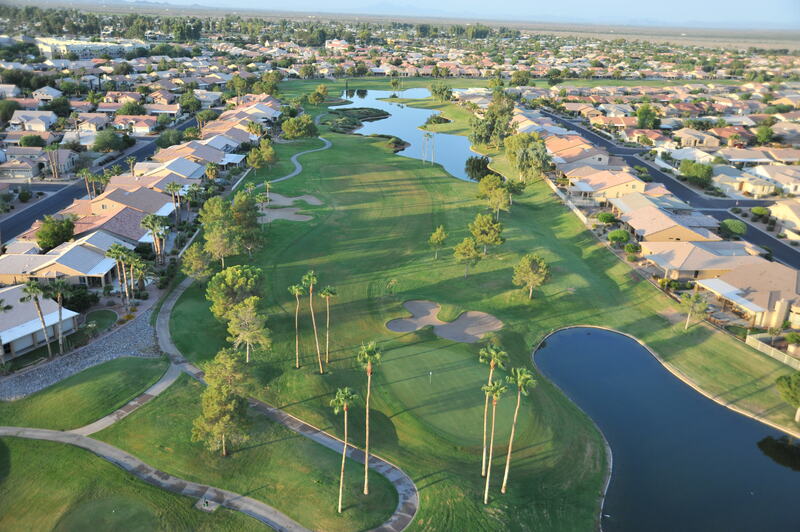 Palo Verde Country Club is the first of the three gated communities and has 1,073 homes with an 18-hole shorter Executive Style Par 62 course with shorter par 4 and par 5 holes. It plays 4108 yards from the blue tees, 3857 from white and 3342 from red. This community also features tennis, restaurants and an active social calendar for residents. Ironwood Country Club is part of the IronOaks Homeowner Association comprised of both Ironwood and Oakwood Country Clubs. Though separate communities amenities can be shared by homeowners in either community. Ironwood has a separate 18-hole course that plays 5163 yards from the championship tees, 4585 from the standard and 3939 from the forward. Ironwood has 734 homes, tennis courts and a restaurant and shares a wide variety of amenities with Oakwood. Oakwood Country Club is the newest and final gated community to be built in Sun Lakes. Three 9-hole courses are part of Oakwood Country. The Lakes is the most challenging where you will find well guarded greens and plenty of water hazards. The Palms is a challenging course and The Sonoran is a desert style shorter course. To see all golf course homes for sale in Sun Lakes click here. Chandler Arizona real estate is as hot as the summer temperatures. So don’t wait! 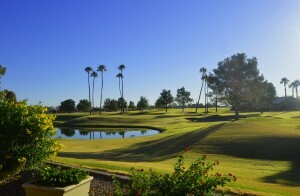 Contact us today for more information on Golf Homes in Chandler Arizona or golf homes in any East Valley community. Alternatively you can search for all golf course homes for sale on our website. All listings are updated in real time.